I feel so bad because I never even realize I didn’t have any book review in my blog. I thought I have done one or two book review but apparently I’m wrong. So here is my very first book review – To All The Boys I’ve Loved Before. The main character of this book is Lara Jean. I love how real her character is. How is she bonded with her family and how traditional her family is. 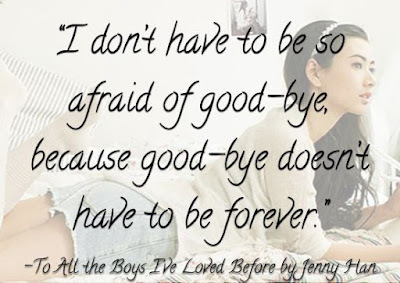 Lara Jean wrote letter to all the boys she ever loved and kept it in a hatbox given her mother. One day she found out Peter Kavinsky, one of the boy’s Lara Jean wrote a letter to, approaches her and said something that refer to the letter she have written. This is when she found out her letter was missing. I was like ‘Snap’ dude.The letter wasn’t supposed to be read by any one that was her secret that should be buried by her grave. One of the letter Lara Jean wrote was to Josh. Josh is Lara Jean’s elder sister (Margot) boyfriend. He also has a crush on Lara before. Can you imagine that? But of course Lara Jean is smart enough to tell Josh she is in a relationship with Peter when Josh ask her about the letter. So Lara Jean and Peter Kavinsky start a fake relationship. But Peter had a girlfriend (Genevieve). You can imagine how their relationship be. Rumors spread out that Lara and Peter had s** (didn’t want to say it haha) but Peter didn’t deny it and they went apart. I was so mad he did not deny the rumor. But I just love Peter character with Kitty (Lara youngest sister), and he can blend well with Lara’s father. I mean who doesn’t love a man like this haha. Josh was a bit like an a**h***. He is jealous when Peter is around Lara Jean and her family. Urgh I really hate him. I was so immersed with how Peter and Lara trying to trying hard-to-get with each other. Kitty played a big role later on, she tell Lara that Peter really cares for her. Then soon Kitty reveal that she stole the hatbox. Pergh. What makes me keep wanting to read the next chapter is because I kept wanting more of Peter and Lara moments. I didn’t mean ehem *kisses*, what I meant is how Peter trying to tell Lara that he likes her which wasn’t typical your romeo kinda way. He acted normally yet realistic. The ending wasn’t really convincing to me. Everything ended fine for Peter and Lara but I hope there’s something more in the sequel. Another downside of this book is Margot. By sending her off to study abroad kinda makes the drama got off with her and Lara and Josh. 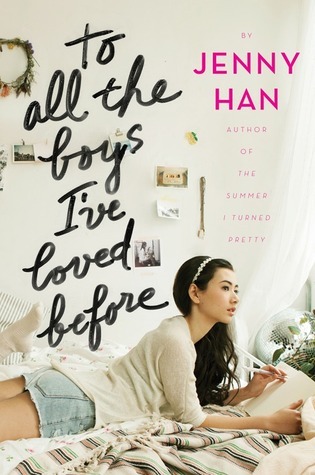 If you want a really light reading, To All The Boys I’ve Loved Before is good for you.